THURSDAY, Oct. 16, 2014 (HealthDay News) -- Physically active people are less likely to show signs of depression, a new study finds. And exercise can help improve mood in people who already feel depressed, but there's a catch: Depressive symptoms appear to be a barrier to physical activity, the British researchers said. The findings, based on 11,000 adults ages 23 to 50, correlate with previous research suggesting that exercise can have a powerful effect on depression, although it's far from a cure-all. "Exercise is good for you," said Dr. Madhukar Trivedi, a leading researcher into the effects of physical activity who wasn't involved in the study. "It improves your mental health and lowers your chances of getting depressed." It may seem obvious that exercise improves mood, but it's been difficult to prove scientifically. One of the challenges is that depressed people tend to be withdrawn and don't want to engage in any kind of activity. If they do exercise, it might be because their depression is starting to lift for some reason that has nothing to do with their activity level, experts say. The new research, published online Oct. 15 in the journal JAMA Psychiatry, relied on data from a large study of people born during a single week in March 1958 in Great Britain. 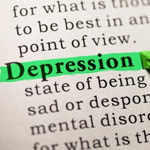 The researchers, from University College London and Canada's McGill University, assessed common depressive symptoms -- including sleep disturbance, fatigue, irritability and anxiety at the ages of 23, 33, 42 and 50. The study design relied on complex statistical formulas and found that people who exercise more have fewer symptoms of depression. Also, in younger people, those who exercised more had fewer depression symptoms over time. Among those inactive at any age, boosting activity from never to three times a week reduced the odds of depression by 19 percent five years later, the researchers found. On the other hand, those who were inactive at age 23 and were still inactive five years later showed no change in the number of depressive symptoms, the researchers said. These trends held up even when the researchers adjusted their statistics for factors such as education levels. The study can't prove that exercise lifts depression. However, it "adds much more confidence to what we know," said Trivedi, director of the Comprehensive Center for Depression at University of Texas Southwestern Medical Center at Dallas. "People who exercise have less depression, and once someone's depressed, exercise leads to improvements in depression," said Trivedi. It's not clear how exercise may help lift depression, but Trivedi said one possibility is that it boosts the creation of new brain cells and new connections in the brain. Forty-five minutes of moderate exercise four to five times a week can make a big difference, Trivedi said. However, he cautioned that it's difficult for depressed people to help themselves by becoming more active. "If you do get depressed, try to muster as much support from your environment as you can to get into exercise since it'll be harder for you to exercise than your neighbor who isn't depressed," he explained. But depressed people shouldn't attempt to treat themselves, Trivedi added. "It does not matter which treatment they're using -- medication, psychotherapy, exercise. They should do it under the guidance of a health care provider," he said. Dr. David Katz, director of the Yale University Prevention Research Center, agreed. "The study does suggest that depression takes away the inclination to be active," he said. "We should respect that, treat it as a barrier that first needs to be addressed directly," Katz added. Once symptoms are under control, he said, "then encourage exercise as part of the definitive treatment."